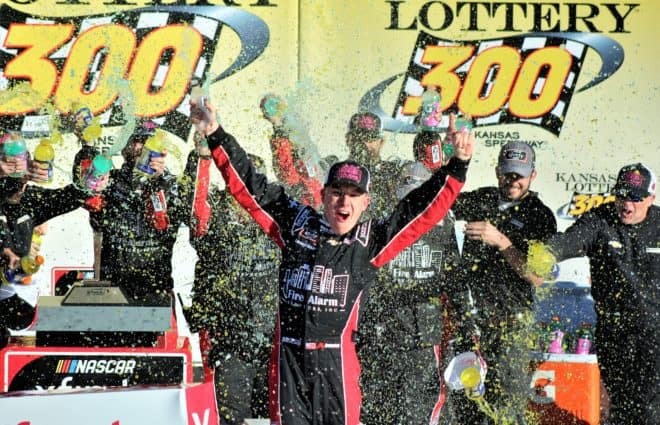 John Hunter Nemechek scored his first career NASCAR XFINITY Series win in Saturday’s Kansas Lottery 300 at Kansas Speedway in just his 15th series start. It didn’t come easy for, though. Saturday morning, the crew scrambled to get the car through inspection before qualifying. With just over one minute remaining in Round 1 of qualifying, the No. 42 team got the break it needed when the clock was stopped to clean up fluid on the track. That gave Nemechek just enough time to get in the car and make a lap before the clock expired and ended up starting 13th. After missing the first lap carnage, Nemechek stalked leader Daniel Hemric as the laps wound down in Stage No. 1 He took the lead for the first time in the middle of Stage No. 2 by beating Hemric off of pit road during a caution and held onto the top spot until pit stops during the sixth caution, which flew for an three-car accident in Turn 4 and served as the end of Stage No. 2. 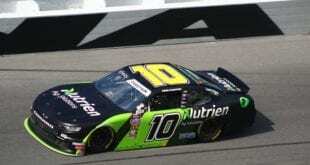 On lap 151, Nemechek pulled the No. 42 Chevrolet down pit road for a green flag pit stop. 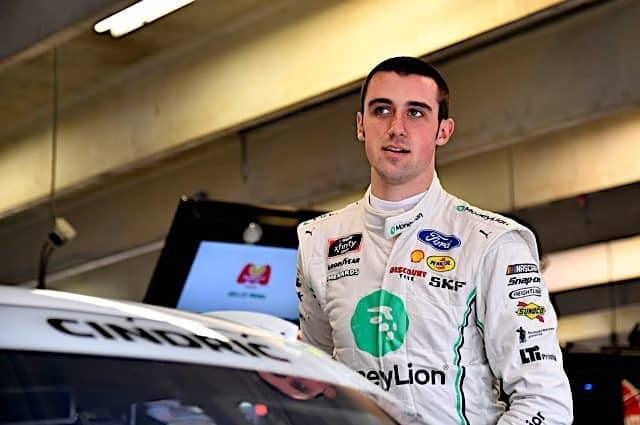 But after overshooting his pit stall and needing to back up before the crew could service the car, a less than half-second deficit grew to more than four seconds. 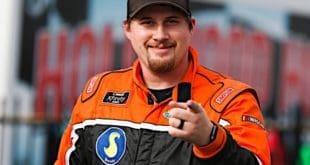 Fast forward to lap 165 when Vinnie Miller stalled at the exit of pit road, and the yellow flew, erasing Hemric’s lead and giving Nemechek another shot. With only five cars on the lead lap at that point in the race, crew chief Mike Shiplett had to call his driver down pit road a second time to tighten lug nuts, though he also made a track bar adjustment. 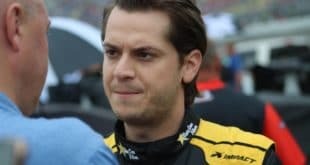 “He was cussing me out like hell,” crew chief Mike Shiplett said as the two laughed about the second stop after the race. 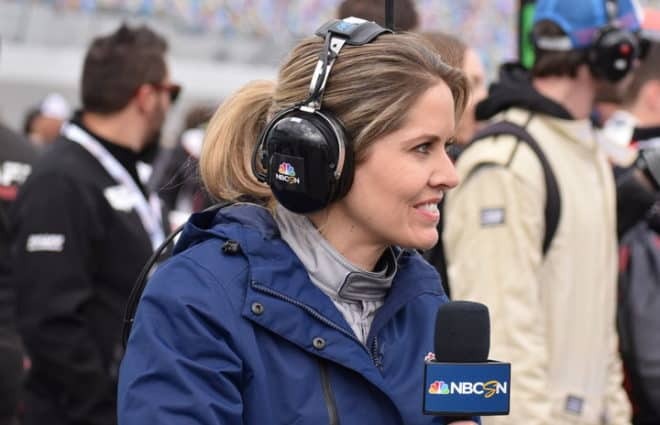 “I wasn’t cussing him out,” Nemechek said. “It’s just one of those thought processes. You have to get over it. I made a mistake and then we had lug nuts loose so we had to come back down. You never know what’s going to happen. 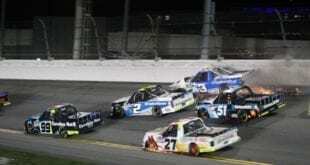 Following that extra stop, Nemechek restarted in sixth but wasted little time moving through the field to engage in a tense battle for the lead with eventual runner-up Hemric. 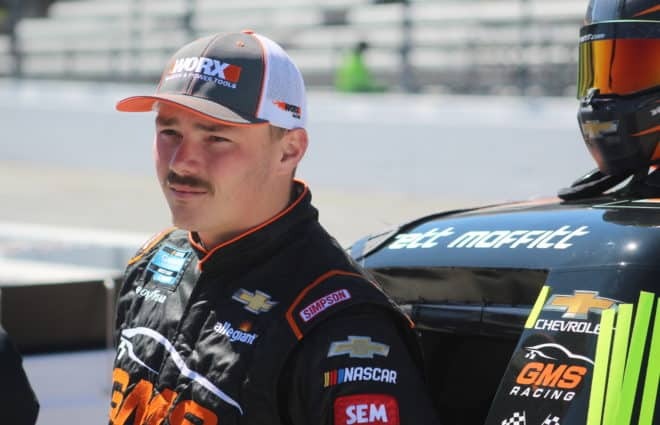 But once Nemechek cleared Hemric, it was all about hitting his marks and running smooth laps all the way to the checkered flag by more than five seconds. For Nemechek, Ross Chastain‘s victory behind the wheel of the No. 42 a few weeks ago at Las Vegas Motor Speedway didn’t necessarily serve as motivation but rather validation. 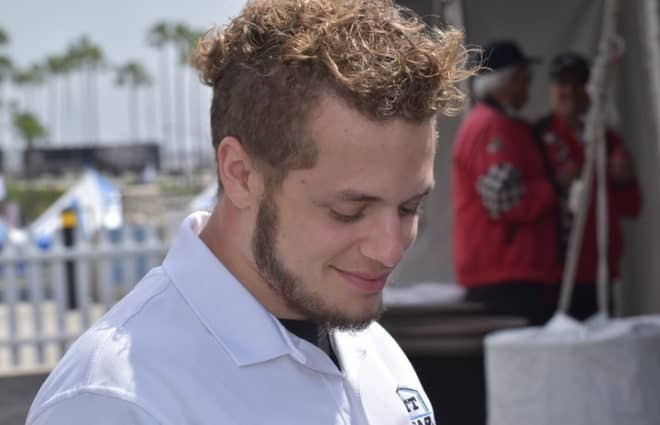 Though he isn’t running for the driver championship, thanks to a part-time schedule in the Truck and XFINITY series, the No. 42 team does currently lead the owner standings with just three races remaining.